I just returned from a whirlwind spring break trip — exploring Hong Kong and Singapore, seeing the sites, tasting the street food and living out “Crazy Rich Asians” wherever possible. So, now that spring break has come and gone, I’ve got summer in my sights. With longer, sunnier days, I’m thinking about a sunglass refresh. A summer staple, this season is all about deciding what decade you want to channel with your eyewear -- the ‘70s, ‘80s or ‘90s. Style icons from the ‘70s like Farrah Fawcett and Bianca Jagger were experts at accessorizing with oversized, pink-hued glasses. 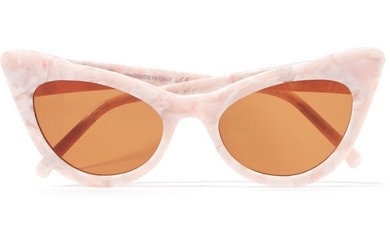 Today, the look is still popular among the fashion set with Chloé, Linda Farrow and Sunday Somewhere are all revitalizing the retro rose-colored spectacles. 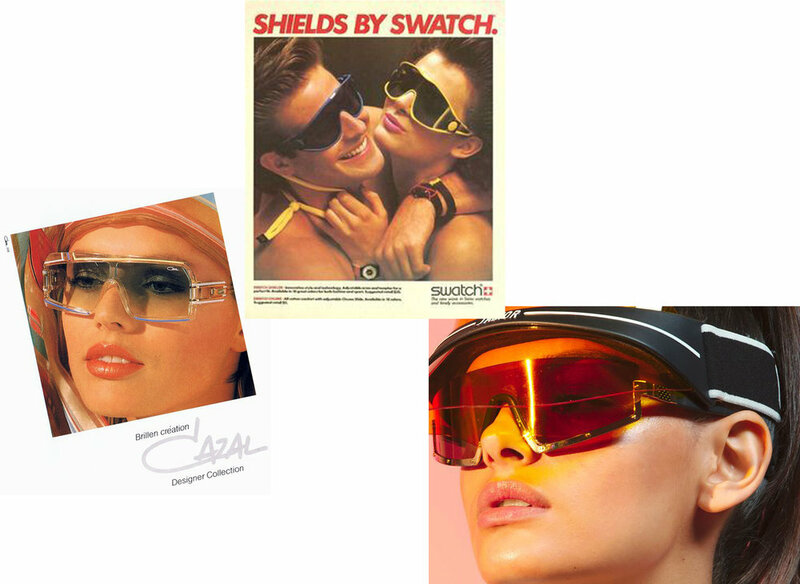 Straying from the feminine ‘70s aesthetic, the ‘80s produced Terminator-style visor glasses. And, the look has returned (I suppose we could have guessed they’d “be back”). 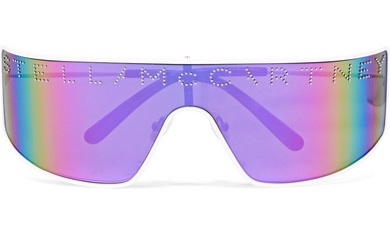 Gucci, Stella McCartney, and Victoria Beckham are a few of the designers putting a modern day spin on the statement-making shades. 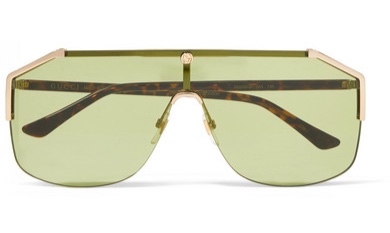 Moving into the ‘90s, glasses shrunk significantly offering slim-framed silhouettes. 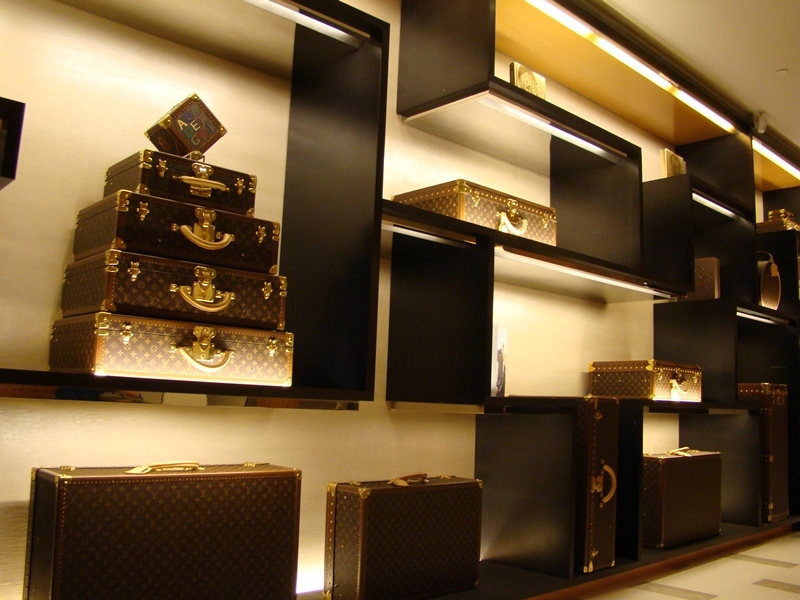 The trend resurfaced last year and continues to be a fiery fad. This season designers like Ganni, Illesteva, and Miu Miu are adding a strong cat-eye to the design, making it puuurfect for trendsetters. Whether you have a go-to set of shades or several spectacles in rotation, storing them properly ensures they always look good and stand the test of time! 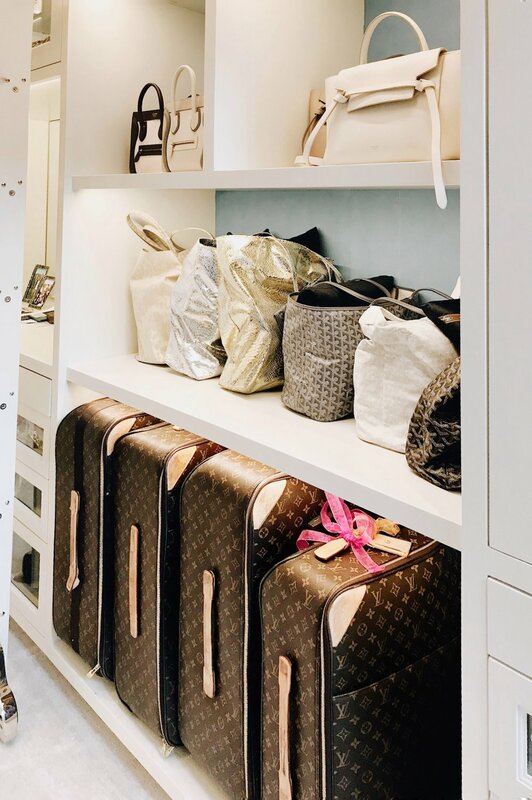 There are several custom storage options I like to employ for eyewear, including display boxes (for Olivia Culpo’s closet we did a cool brass one), pull-out glass displays (similar to what we did for Jaime King), as well as acrylic vanity trays. 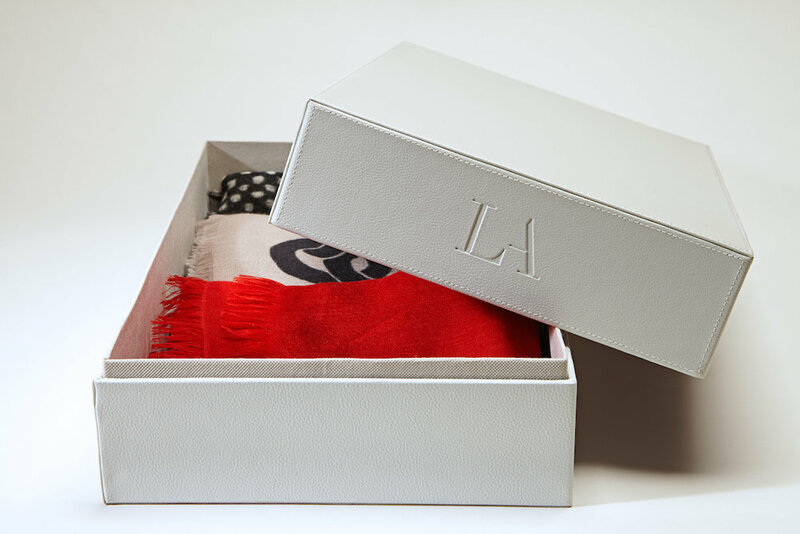 One of the most popular ways we incorporate sunglasses for our clients are with custom suede drawer inserts! Available in a wide variety of fabrics and colors, these are a great way to add personality to your closet, and care for your designer sunnies! (If you’re interested in having these made for your own space, contact us today.) 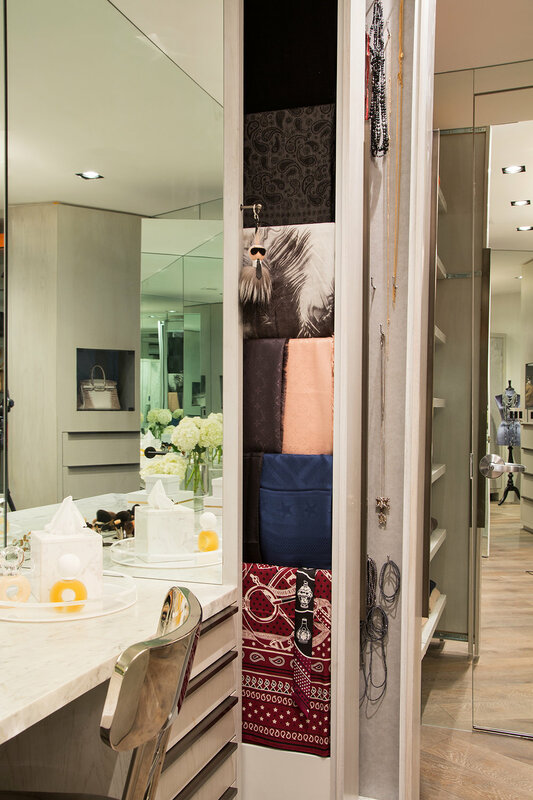 There are also several storage solutions that aren’t custom including this chic L.E.D. optical display that resembles a set-up you’d see in a luxury boutique, this retail-ready rotating chrome display rack, and this affordable sunglass box organizer.